Ocala, FL (March 23, 2014) – Poise, precision and power landed Catherine Pasmore of White Hall, VA and Pasmore Stables, LLC’s Z Canta at the top of the John Deere stadium leader board in the $33,000 CSI2* Hollow Creek Winning Round on the final day of competition at the 2014 Live Oak International in Ocala, FL. Pasmore topped a field of 32 contenders including U.S. Olympic veteran ‘Leapin’ Leslie’ Howard, of Darien, CT, whose fault-free effort on The Utah Group’s Utah over Leopoldo Palacios’ course was close (55.55 seconds) but not enough to catch Pasmore’s own flawless effort of 54.62 seconds. The final fault-free round belonged to Andre Thieme of Plau Am See, PA, and Conthendrix, with a gallop through the timers at 56.25 seconds. This marked the second year that Hollow Creek Farm sponsored Sunday afternoon’s premier show jumping class. Having attended the inaugural Live Oak International show jumping event in 2012, business partners Andrea King and Angel Karolyi of Hollow Creek Farm in Aiken, SC, were anxious to lend their support. In 2013, they stepped up to sponsor the Winning Round competition and committed to do so again this year. At the conclusion of the show jumping, the luck of the Irish was with Live Oak International $10,000 E2 Leading Rider Award winner and 2012 Olympic Individual Bronze medalist, Cian O’Connor. 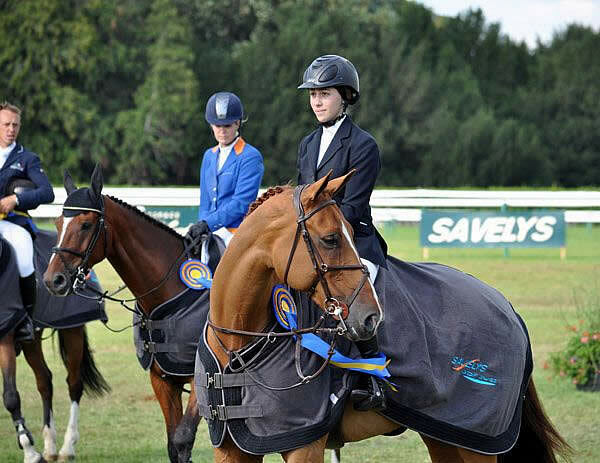 Live Oak Plantation’s incredible atmosphere, world-class facilities, and top-of-the-line competitors once again came together to create the country’s premier driving and showjumping event. 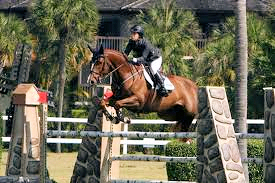 Managed and organized by the brother/sister team of Chester Weber and Juliet W. Reid, the 2014 Live Oak International continues to set the standard for competition, entertainment, and equestrian sport in the United States. For more information on Live Oak International, including a full schedule of events, visit their website at www.liveoakinternational.com. Chantilly, France – August 6, 2011 – A very busy week for Catherine Pasmore at the CSI 2* show in beautiful Chantilly, France, home of the 2011 Global Champions Tour event, was capped by a hard fought victory over a huge starting field of 60 in the highly competitive Grand Prix Savelys of Chantilly. Pasmore, and her talented partner My Boy, were one of eighteen horse and rider combinations to go clear from that large group that started in Sunday’s main event. Pasmore, who finished sixth in the qualifier (Prix ZEP Sport International) which reduced the number of entries from over 90 down to the 60 that eventually went to the post on Sunday, stuck to her game plan to nail down the top-notch international victory. She also used a taunt by her younger brother Will as further incentive and motivation for the win. “I went to the side of the ring to watch the first few in the jump off before getting on,” Pasmore detailed. “My little brother told me to stop stressing, because I wasn’t going to win anyway. After that I just wanted to go in and prove him wrong,” she laughed. Team USA Celebrates (Photo by Murray Kessler). Lamprechtshausen, Austria – In an incredible finish, the U.S. Young Rider Show Jumping Team scored their first Nations Cup victory of their summer tour, triumphing over the Swiss with a total of five faults. The U.S. and Switzerland were tied after the first round, each country carrying only one time fault forward to the second round. Catherine Pasmore led things off for the U.S. – she had one rail in the first round on My Boy, but bounced back to jump clear in the second round. Ricky Neal picked up one time fault in round one, but had 15 faults in the second round – eventually the drop score from that round – on Transmission. Reed Kessler jumped two flawless rounds on Onisha. Jessica Springsteen rode Vornado van den Hoendrik to a four-fault effort in round two (after a first-round clear) to bring the total to five. The Swiss weren’t going to let Chef d’Equipe Michele Grubb’s American squad get away easily with the win. They kept the pressure on until their very last rider went in the ring. Nicole Muller picked up nine faults on Chansing Wind to bring the Swiss total to 10 and give the U.S. team the win. After two runner-up efforts at CSIOY Bonheiden and CSIOY Reims, the Young Riders got their win. The European Young Rider Tour heads to CSIOY Hagen, in Germany, for the next week of competition June 15-18. Full results are available here: http://eventcontent.hippoonline.de/582/582zeitplanDEU.htm. Read Catherine Pasmore’s blog here: http://www.catherineusa2011.blogspot.com. Reims, France – The USEF European Young Rider Tour continued its successful trip through Europe with another second-place finish in the Nations Cup at CSIOY Reims. Runners-up in Belgium the previous weekend, the Young Riders continued their successful European effort. Catherine Pasmore led off the U.S. team, rebounding from a 13-fault first round on My Boy to improve to eight faults in round two. Karen Polle rode With Wings in the second position to a six-fault effort in the first round but only picked up one time fault in round two. Reed Kessler had the best result, jumping two double clear rounds on Onisha which kept the momentum going and then Jessica Springsteen picked up a time fault in each round – but also added a rail in the second round on Vornado van den Hoendrik. The 16-fault effort left the team second behind the Netherlands who finished on nine faults. Katie Prudent served as Chef d’Equipe. 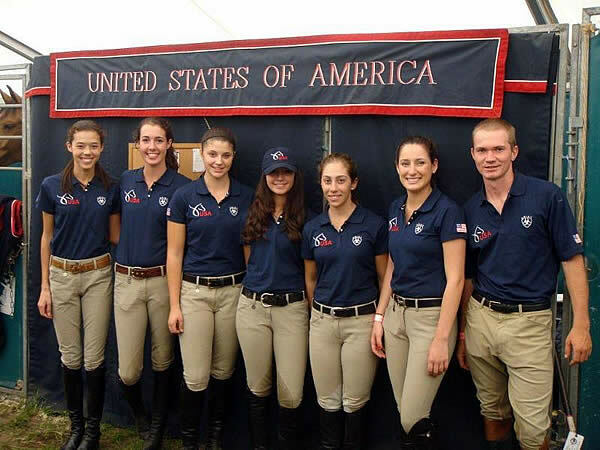 Thursday was an extremely successful day for the U.S. riders in preparation for the Nations Cup. Catherine Pasmore won convincingly on Van David in CSIO YR PX Conseil General de la Marne over her two teammates, Karen Polle on With Wings, who was second, and Jessica Springsteen on Cincinatti La Silla who was third. Reed Kessler and Onisha finished seventh, Richard Neal on Transmission was ninth and Pasmore was 10th on her second horse My Boy. In the CSIO Juniors 1.25m Meg O’Mara was third with Smeagle. Jumping continues throughout the weekend. Please see http://www.jump-results.com/OPEN/reims11.htm for more information. Read Catherine Pasmore’s blog here: http://www.catherineusa2011.blogspot.com/. Bonheiden, Belgium – The U.S. Young Rider Show Jumping Team was second Saturday in the Nations Cup at CSIOJY Bonheiden – the first Young Rider Nations Cup of the USEF European Young Rider Tour. In the first round, Catherine Pasmore was clear on My Boy, Richard Neal on Transmission had 14 faults, Jessica Springsteen had a clear round on Vornado Van Den Hoendrik and Reed Kessler on Onisha ended the round with 13 faults. The foursome was tied for third after the first round. In the second round, the U.S. riders fought back to second place with an improved overall effort. Pasmore, Neal, and Kessler each had 4 faults, while Springsteen had a clear round. The U.S. Young Riders finished on a total of 21 faults behind Great Britain, who ended on 13. Katie Prudent served as the Chef d’Equipe. Lexington, KY – The U.S. show jumping program turns its focus to Belgium this week as the Young Riders and Junior Riders tackle the CSIOJY Bonheiden, with the Young Riders jumping in the first Young Rider Nations Cup of the USEF European Young Rider Tour. The Nations Cup gets underway on Saturday at 5:30 PM CEST, the U.S. Team will jump third. 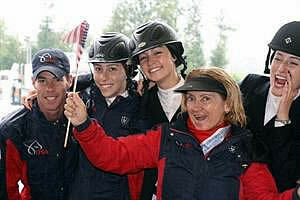 The U.S. will be represented by the following four riders in the Nations Cup. Katie Prudent is serving as the Chef d’Equipe. Reed Kessler on Onisha, Richard Neal on Transmission, Catherine Pasmore on My Boy, and Jessica Springsteen on Vornado Van Den Hoendrik. There were 75 starters in the Young Rider feature class on Thursday and Kessler stormed to victory on Onisha, just ahead of Pasmore who was second on Van David. Springsteen rounded out the top five on Vornado Van Den Hoendrik. 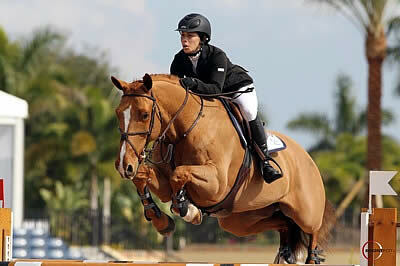 Junior rider Meg O’Mara won a class on Sinatra IV and Victoria Birdsall was seventh in the CSIJ 1.35m Speed Class. Friday began with more success, Karen Polle won on With Wings in the Young Rider Table C Class and O’Mara was second in the Junior Speed Class, in the afternoon Polle won again, this time with Whatever and Springsteen was second with Cincinnati La Silla in the Young Rider 1.40m Two-Phase (Power and Speed). Information is available here: http://www.jumping-bonheiden.be/p1_46-6-csi-2stars.aspx. 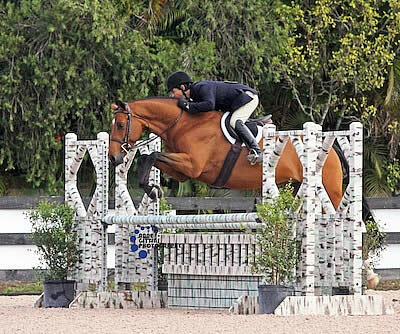 Wellington, FL – March 20, 2011 – Week 10 of the 2011 FTI Winter Equestrian Festival (WEF) concluded with two great events at The Stadium, the grass field venue at the Palm Beach International Equestrian Center. Nick Skelton (GBR) and Big Star, owned by Beverly and Gary Widdowson, notched another big win this circuit by taking the top prize in the $78,000 Pennfield Feeds Grand Prix, CSI 2*. The FTI Winter Equestrian Festival’s feature event, the $500,000 FTI Consulting Finale Grand Prix, CSI 5* will be next week on Saturday, March 26. 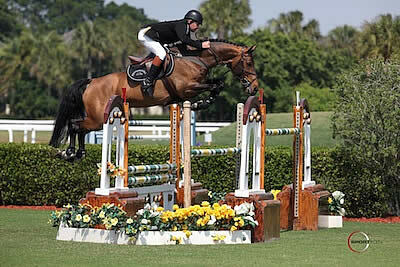 The 2011 WEF will continue through April 3 and awards more than $6 million in prize money. Michel Vaillancourt of Aiken, SC, was the designer for the classes at The Stadium today. 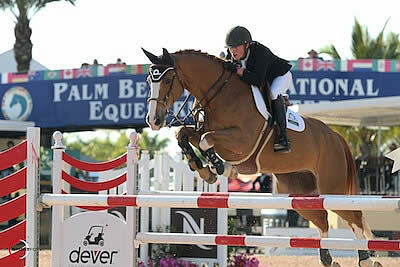 There were 43 entries in the grand prix, and seven of those went clear to advance to the jump-off. The first entry in the class and the first to return was Hector Florentino (DOM) on Stransky’s Mission Farm’s Ultimo. They had a rail at 8b, the oxer out of the double combination, for four faults in 46.50 seconds. They finished in seventh place.